Photo Solutions has extensive experience in scanning old photos, images, and documents to save them in a digital format that allows you to share and preserve your family, company or organizations past. Preserve all of your old slides or negatives in a digital format that allows you to edit and print them. 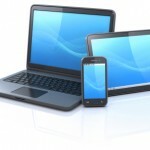 It also allows you to share the files with family and friends via email or social media. Also makes a great holiday gift for family members, sharing a CD of all the family memories in an easily used format. 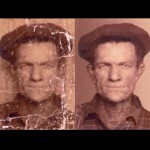 Our technicians can digitally restore your deteriorated photos and save them in a digital format allowing you to preserve family or organization memories before they are lost forever. All work is done in our Bloomington lab, allowing you to know that your precious memories never have to leave town. 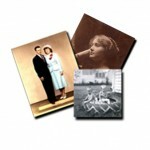 Photo slideshows can add that special touch to many special occasions. Have one made for birthday parties, bat or bar mitvahs, reunions, showers, anniversary celebrations, memorial services, life celebrations or any other special occasion. These slideshows can be personalized with titles, music, documents scans or whatever else you can think to add! Our staff has experience with retrieving your photos and images from your cell, tablet or laptop and saving them for you in a format that allows you to easily print and organize them, while freeing up memory on your device.